Restaurants of the future — within, say, two decades — will offer termite and lab-grown proteins and prepare and deliver items by robots and drones, according to restaurant and technology industry pioneer Nolan Bushnell. “Tomorrow’s promise is that labor costs are going up and labor availability is going down, so we’re going to have to do something about it,” said Bushnell, who founded Atari in 1972 and the Chuck E. Cheese’s brand in 1977, in an address Sunday at the second annual RestaurantSpaces conference in Palm Springs, Calif.
“Technology has to be part of that,” said Bushnell, who forecast several areas where restaurants will change in order to survive. Bushnell is no stranger to innovative, forward-looking enterprises. Besides the Atari gaming system and animated mice of Chuck E. Cheese’s family-oriented pizza restaurant. Bushnell also introduced the interactive uWink restaurant concept in 2006 that grew to three units in California, the last of which closed in 2010. “Pioneers often get the arrows; settlers get the gold,” Bushnell conceded of his uWink project. The technology-based bistro offered many technological bells and whistles, but it was expensive, he said. And “ours kind of worked — sometimes,” he acknowledged. However, Bushnell told the restaurant-development executives in attendance that the next two decades will bring major changes in the industry. Bushnell cited a number of areas for changes, but three stood out. The growth of blockchain technology and Bitcoin will have an impact, he said. Bitcoin is the first generation of cryptocurrencies, he said. One website, bitcoinrestaurants.net, claims 83 U.S. restaurants are now accepting the cryptocurrency. Royal Caribbean in 2014 introduced a robot bartender, known as the “Bionic Bar.” Bushnell envisioned adding voice-activated services, such as Siri or Alexa, to talk to customers and, he added with a laugh, possibly access psychiatric advice. Drones are a big threat, he added, because they could provide restaurant-quality food to a customer’s door in a few minutes. 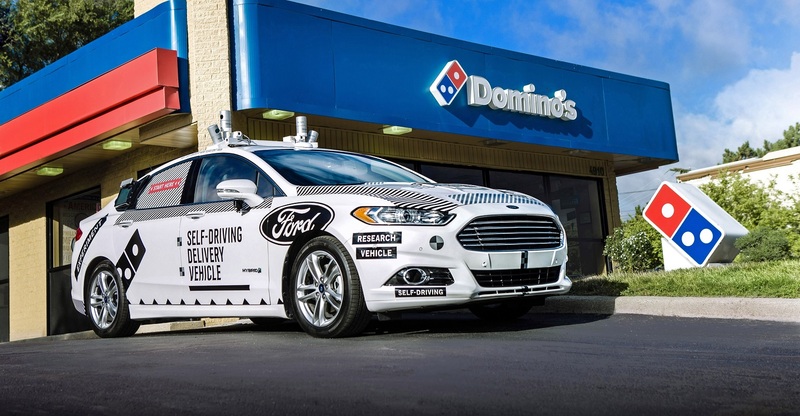 Ann Arbor, Mich.-based Domino’s Pizza Inc. has already announced a partnership with Ford to create a driverless car delivery system. The impact on brick-and-mortar restaurants is that they will have to provide more reasons, such as entertainment, for customers to invest time, effort and money in dining out. Maastricht University’s laboratory beef starts with muscle cells painlessly extracted from living cows. Bushnell predicted 80 percent of ground beef would be laboratory grown within the next decade. “Protein, grown in a vat, is cheaper” than conventional livestock, he said. 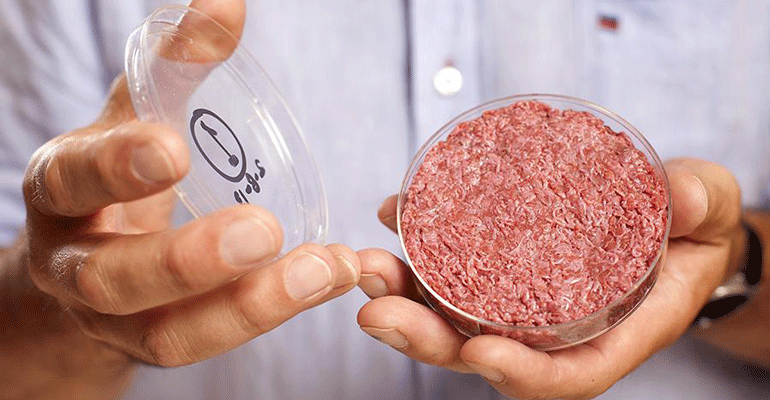 Lab-grown “beef molecules, compressed and aggregated, will have the texture of hamburger and taste of hamburger,” Bushnell said. Some protein will be based on termites, he said flatly. He cited ant-egg dishes in Mexico as an example of cultures already accepting such unusual protein sources.